In the early nineties materials took on an additional – or let´s say an essential – meaning for design. Experimental work with materials had an extraordinary influence on the new design in the Netherlands and all over Europe. Design libraries were founded, books were written – material became an important source of new ideas, new possibilities, new forms, new looks and surprising solutions. Construction also played a role – but more as a matter of experiment. 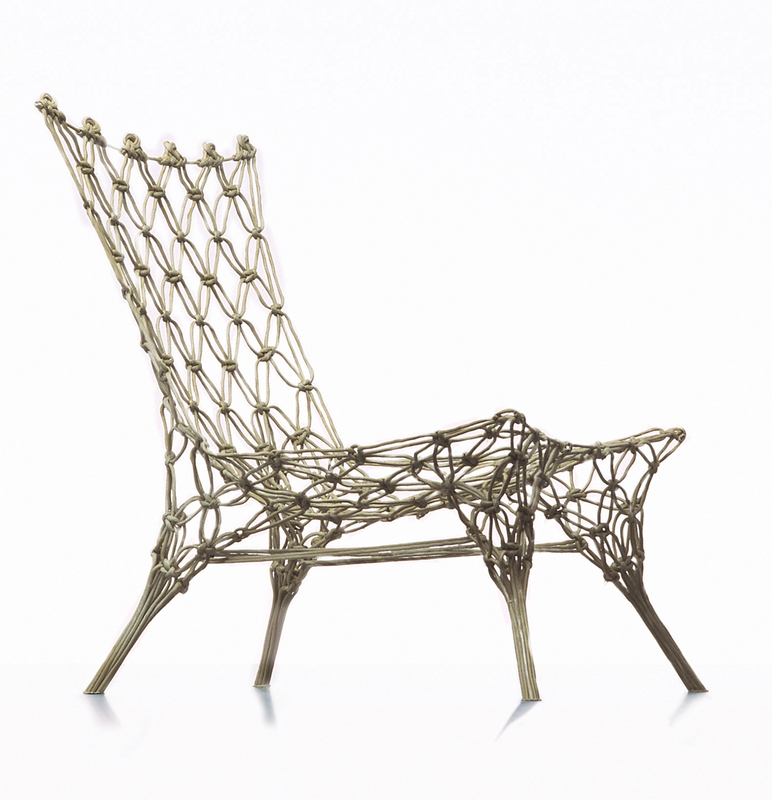 Rubber vases by Hella Jongerius, knotted chairs by Marcel Wanders or paper seats by Tokujin Yoshioka gave us new ideas about things, functions, form. Knowledge about materials has increased enormously since then – and it has a fixed place in the education of product designers. New materials that are being developed today offer an enormous potential for innovation. Materials that integrate „intelligence“, printed electronics, plastics made of renewable resources, materials produced by bacteria and viruses, thin functional layers sandwiched into a complex technical solution – all this is fantastic. Even more so because it means that mass can be reduced and that new ideas of lightweight construction become possible, that less energy is used and that we can reduce toxic particles and waste. Fantastic new materials are emerging from scientific laboratories that will open up new possibilities for the construction and manufacture of products – lots of them have already been shown here in Hello Materials Blog. But in the end it is not the only material that is responsible for an innovative product. Today innovation must be more than the use of an innovative material or of a new scientific solution fresh from the test tube. Innovation means that the material is given form, moulded, treated by a new process. It means a combination of the most sustainable, functional, energy and resource efficient, long-lasting, comfortable and simple to manufacture options. A solution with no harmful impact on society and ecology, as minimal and as functional as possible Nothing more or less. This means that a lot of aspects have to be taken into account, starting with the analysis of the user, the use, the function – finding the most intelligent solution for the desired function – working out the details regarding manufacturing, tooling, waste, use of chemicals in the production, resources, logistics, and recycling before determining the design, the construction and the material-technology combination. 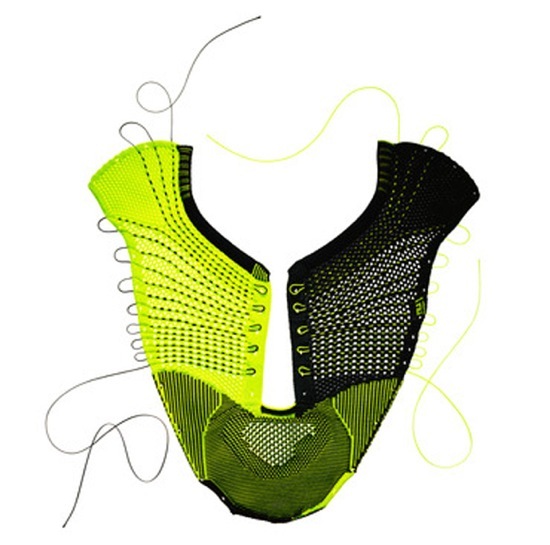 One of the most impressive products for me – and one that demonstrates these ideas in an super inspiring way – is the Flyknit shoe by Nike which was shown for the first time in early spring this year. Normally a shoe consists of different layers of textile, foil, and leather which are cut or punched out by machines and then glued and/or sewed together. Waste and leftover materials may or may not be recyclable. Heavy machines and tools as well as energy are used to produce the shoe. The different process steps require time and possibly also transport of materials from one company or production site to the next. This is normal because different components are responsible for the different functional aspects of the shoe: strength, breathability, individual adaption, performance. They reduced everything except the performance. 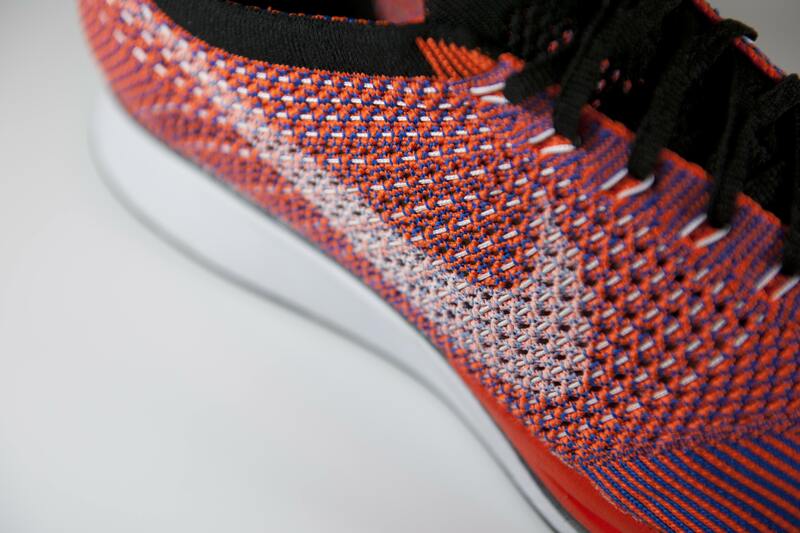 The construction of the shoe consists of a one-layer knitted textile. Different yarns and meshes give strength, breathability, fit and even build the loops where the shoelaces run through and are tightened. To produce this shoe all you need are different technical yarns and a knitting machine which is controlled by a software to produce different sizes, designs, meshes and integrated functions. No tools, no additional production steps, no waste, no gluing. The material of the yarns can be innovative and new, it can also be natural or a combination of all but the innovation is created by the idea to construct a minimal one-layer textile that integrates all functions. In the end it is the idea to combine high-performance yarns and the technology of knitting to make a shoe. This example shows what innovation is about. It also demonstrates how the combination of material and technology in a new technical context can create astonishing aesthetics. This is only one example illustrating the possibilities of yarns and textiles. Yarns can be made of metal, plastics, glass, natural fibres, carbon, basalt, carrot fibres, spider silk and a lots of other materials. They can be combined with each other and they can be coated with plastics, nano particles, metal or even porcelain. These combinations add functions like being waterproof, resistance to chemicals, stiffness, or electrical and heat conductivity. These functional yarns can be combined in patterns, in lines, in functional layouts by knitting, weaving, stitching, sewing, braiding – or a combination of those. 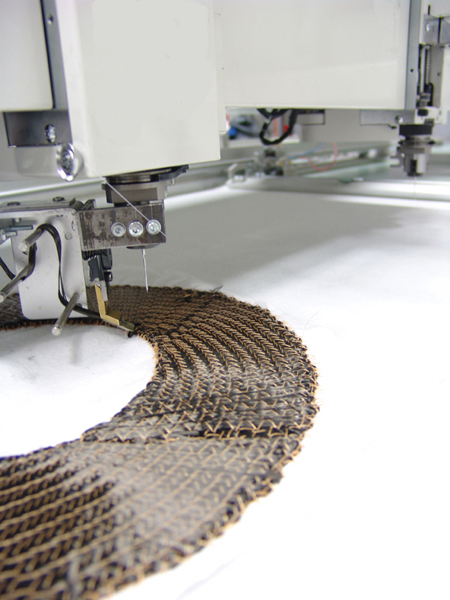 The resulting textiles can be 3d, flexible, strong or even stiff depending on the way they are made or by additional processes like thermo-compression or the integration into a composite. 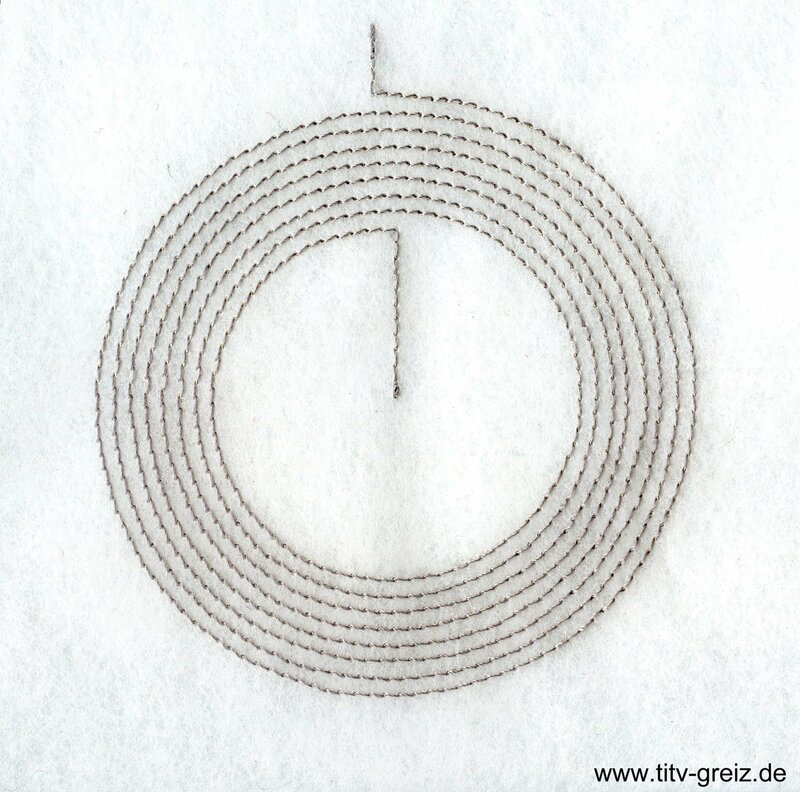 Imagine all the possibilities for future textile products. And you have nearly the same range of options with wood, metal, plastics, porcelain, glass, bacteria and renewable resources like the waste of apple juice which can be transformed into a plastic film. It´s not about materials. It´s about the most comprehensive consideration of all important aspects to find the best combination of material and technology in the most minimal way. This is innovation and it surely generates new forms and aesthetics. This entry was posted in Material Innovation and tagged Material Innovation, material solution, product development. Bookmark the permalink. We agree, a material can only be determined as ‘innovative’ when it becomes commercially viable because ‘innovation’ implies also commercial sucess. And it can only become a commercial success through a product. Sometimes, some materials are launched too early in the market. If the market is not yet ripe for these materials, they can hardly become a commercially successfull innovation.